Could they find success in the US again with this new single? 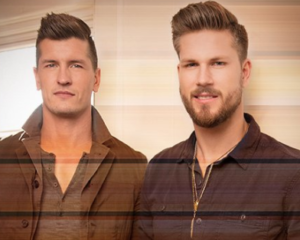 High Valley has had an interesting career so far. They’ve been huge in Canada. They have the kind of country music that is pretty big right now all over including in the US. I didn’t realize that their first visit to the US country charts was back in 2012-2013 with a song that hung around the top 40 or so. But their big breakthrough kind of came last year with Make You Mine. That one hit all the way into the top 20, which is no easy feat. Things are competitive on the charts right now. It looks like they’ve had a couple other singles in the meantime in Canada. They have a new one that’s out. I’m not sure if this one is destined for the US charts, but you never know. These guys know how to find catchy songs. They have a little mix of Dan + Shay and Rascal Flatts in their style. But they sound unique. They definitely have a sound and fans are liking this style right now. It’s kind of that Infatuation Country vein where guys are declaring their love for their girls. That’s what this song is about. No Bro Country here or anything like that. Just straight infatuation where a guy sees a girl as the best thing in the world and all he wants to do is treat her right. It’s a good song. I think it could certainly find the top 20 on the US charts, but you never know. The fans will probably decide.